Manheim locations across the county are currently celebrating National Auto Auction Week. Throughout the week, the company said it will use Facebook and Twitter to showcase local auction activities. The week of celebration wraps up on Friday. “National Auto Auction Week is a great time to reflect on the commitment that our team members and loyal clients exhibit every day in driving this industry forward,” Cox Automotive Inventory Solutions president Janet Barnard said in a news release. In addition to promoting upcoming local auction activities, Manheim’s Facebook and Twitter pages will also feature messages of thanks to Manheim team members and clients, according to the company. “National Auto Auction Week is a terrific opportunity to recognize the strength of our industry and the immense value auto auctions provide,” added Grace Huang, senior vice president of Inventory Services for Manheim. National Auto Auction Week is sponsored by the National Auto Auction Association. Click here for more information about National Auto Auction Week. Auctions across the country are finding ways to have fun this summer. A few include a Louisiana auction, an Illinois auction and 20 southeastern Manheim locations. Manheim’s southeastern locations participated in the company’s fourth annual Cargaritaville sales event this month. The sales day featured beach-themed prize giveaways, live entertainment and steel drummers. NextGear Capital partnered with each participating location to offer special promotional terms and Margarita Machine giveaways. A 2016 Kawaski Jet Ski, the grand prize, was given away at Manheim Orlando to Ed Burgess with Mazda of Roswell, Ga. The 20 locations offered more than 30,000 participating dealers a total of roughly 40,000 vehicles. Additionally, Manheim team members also made time for costume contests and photo booth opportunities during the sale. Cargaritaville began in 2013 at 11 Manheim locations in Florida. In 2016, the event expanded to Alabama, Georgia, North Carolina, South Carolina and Tennessee locations. Manheim locations in the Southeast weren't the only ones within the company to have summertime fun. Manheim Baltimore-Washington helped clients knock sales out of the park at the third annual ‘Summer Slam’ sale on July 18. This year's event featured more inventory, more buyers and more transactions than last year. Some 3,000 units were available at the baseball-themed event which brought more than 2,000 buyers contributing to an overall sales rate of more than 60 percent. Meanwhile, Greater Rockford Auto Auction in Illinois recently celebrated 43 years with a special sales event featuring $15,000 in prizes and giveaways on July 19. Prizes included off-road dune buggies, Cub Cadet lawn mowers, patio furniture sets and electric smokers. Louisiana's 1st Choice Auction’s (LAFCAA) 2017 Lagniappe Sale was also this month. “It was a great day at the auction, with a terrific lineup of cars and trucks, and lots of prizes to go around,” LAFCAA owner and managing partner John Poteet said in a news release. LAFCAA's annual football-themed Tailgate Event is set for Aug. 22. The sale will feature 900 plus units from ARI, CPS and several large dealer groups. This year's sale will also include a special visit from 2003 NCAA and 2009 Super Bowl champion wide receiver Devery Henderson. Henderson will mingle with buyers attending the event and provide opportunities for photos and autographs. Themed prizes valued at an estimated $10,000 will also be awarded during the sale, according to LAFCAA. Visit lafcaa.com for more details. Hireology is looking to help dealerships slow the costly churn of employees being added and subtracted from their workforce. Officials from the hiring and talent management platform are working in partnership with Cox Automotive and the National Automobile Dealers Association to host a retail automotive human capital management summit called Elevate. Intended for general managers, dealer principals and HR leaders, Hireology insisted attendees will assess competencies, identify gaps and formally develop 2018 human capital management plans during the conference, set for Sept. 19 in Chicago. Hireology went on to highlight participants will build the strategy and tactical plan to turn their hiring and talent management processes into a source of competitive advantage. Leveraging a provided playbook to guide discussion, attendees will create a plan unique to their organization and outline steps necessary to successfully implement changes after the event. “As the retail automotive industry enters a more challenging cycle, management teams must leverage human capital as a source of competitive advantage,” said Adam Robinson, co-founder and chief executive officer of Hireology. Elevate will be held Sept 19 at the Hilton Rosemont/Chicago O’Hare, located at 5550 N. River Road in Rosemont, Ill. Click here to register and purchase tickets. For more information, call (312) 283-3625, email hpigman@hireology.com or visit hireology.com/elevate2017. 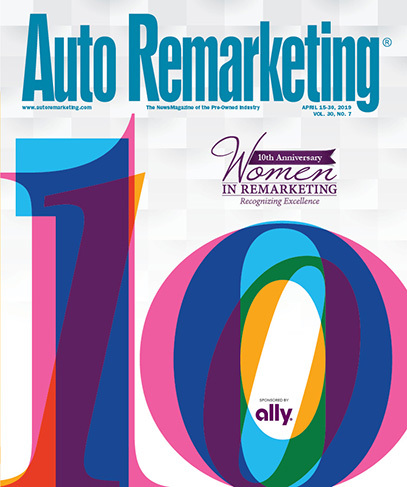 The International Automotive Remarketers Alliance is currently gearing up for its 16th annual Summer Remarketing Roundtable series beginning on Aug. 16 in Nashville, Tenn. The roundtable is titled, “The Voice of Consignors” and will feature four unique sessions. This year’s series of sessions include Trends in Automotive Logistics, Auto Mechanics 101, Retail Remarketing Trends and Vehicle Recalls. The University of Tennessee’s former head football coach Phillip Fulmer will serve as the keynote. Registration is currently available here, it will remain open up to Aug. 16. The roundtable will be at the Hilton Nashville Downtown, located at 121 Fourth Avenue South, Nashville, Tenn.
For more details about the roundtable and to view the full schedule, visit iara.biz/meetings.php. For the second year in a row, the NIADA Convention and Expo was the largest ever. The National Independent Automobile Dealers Association highlighted that the final count is in, and it shows this year’s convention, held June 12-15 at The Mirage in Las Vegas, edged the 2016 total for most attendees in the 71-year history of the event. Overall attendance was up for the fifth consecutive year, and the number of dealers was also up from last year. And just as in 2016, nearly 20 percent of those attending the 2017 convention did so for the first time. —98 percent said the speakers and panelists were very prepared and more than three-fourths gave the sessions “good” or “excellent” ratings. “An awesome investment in my business," wrote Larry Schmidt of Countryside Auto and Cycle in Fond du Lac, Wis. “Four days of industry-specific training along with trade vendors to improve my business — that’s an investment every dealer should be making. I'll be back next year." Alvlis Tabaks of Elva DMS said his company exhibited at NIADA’s event for the first time and “the experience we got there was beyond our expectations. The exhibitors gave the convention a 90 percent overall satisfaction rating, while 95 percent approved of the level of decision-makers among the attendees and 90 percent said they are likely to be back to exhibit at the 2018 Convention and Expo – which will be held June 18-21 at the Rosen Shingle Creek Resort in Orlando, Fla., as NIADA's biggest event leaves Las Vegas for the first time since 2009. Just as it surpassed its record-setting predecessor in attendance, the 2017 convention topped the 2016 event with more sessions on more topics than any previous NIADA Convention. That included for the first time a dedicated area of focus on certified pre-owned, as well as sessions addressing retail, compliance and an even more extensive buy-here, pay-here component. In addition to keynote speaker Captain Richard Phillips — inspiration for the hit movie Captain Phillips — the featured speakers included many of the top names in the used vehicle industry, beginning with NIADA's own Chuck Bonanno and Shaun Petersen. Others included leadership trainer Dave Anderson, TrueCar CEO Chip Perry, Cox Automotive's Janet Barnard, attorney Tom Hudson, KAR Auction Services chief economist Tom Kontos, FBI Special Agent Edward Parmalee, AutoZone’s Ray Curry and NABD president Ken Shilson, among many others. Auto/Mate Dealership Systems has selected Lisa Copeland of Lisa Copeland Global Enterprises to deliver the keynote address for its Customer User Summit from October 11 to 13 in San Antonio. Copeland’s presentation is titled "Outwitting Fear; Mastering the 7 Principles of Fearless Success." "Lisa is a longtime motivational speaker in the auto industry and her presentations are well known for being fascinating and energetic," Auto/Mate president and chief executive officer Mike Esposito said in a news release. "We look forward to having her join us." She has been appointed by the Napoleon Hill Foundation to deliver his "Seven Ways to Outwit Fear," according to Auto/Mate. In her keynote, the company said Copeland will discuss the seven principles of good that allow individuals to succeed. The summit will be held at the Hilton Palacio Del Rio, on the San Antonio Riverwalk. Friday is the deadline for both Auto/Mate customers and exhibitors to register for the summit at a discounted rate. Exhibitor opportunities are offered to Auto/Mate's Open/Mate and third-party partners and other industry vendors. Additionally, the summit’s agenda is now finalized and the names of its sessions have been announced. For a full list, visit the event page at http://www.automate.com/usersummit/agenda. For additional details about sponsorships and exhibitor opportunities, contact Auto/Mate's manager of events and marketing communications, Jessica Joralemon, at usersummit@automate.com. To register for the Customer User Summit, visit http://www.automate.com/usersummit. On Wednesday, Carvana expanded its growing footprint into Louisville, Ky., the company’s 31st market. Louisville residents can now search through over 7,000 vehicles on Carvana.com and schedule next-day home delivery of their vehicle following a purchase. Louisville residents who wish to experience Carvana’s fully automated Car Vending Machine can also either choose to travel to Nashville to pick up their car or participate in the company's Fly and Drive program. The program subsidizes $200 of airfare to any of the five cities with Carvana’s Car Vending Machines, such as Austin, Dallas, Houston, Nashville and San Antonio. Galpin Motors is currently aiming to sell 11,000 vehicles during its annual summer sales event, which kicked off on Memorial Day weekend and will continue through the end of September. Over the years, the dealership has committed to sales challenges such as the Galpin 3,000, the Galpin 4,000, the Galpin 6,000 and the more recent Galpin 10,000. Galpin said this year it was time to bring the sale to 11,000. “The Galpin 10,000 has always been a fun summer sales event, but this year we thought it was time to take it all the way up to 11,” Galpin Motors president Beau Boeckmann said in a news release. Employees’ community activities will include volunteer work and city beautification projects, according to Galpin. “Meaningful philanthropy plays a big role at Galpin and we look forward to positively impacting our community while also reaching our sales goals,” Boeckmann said. The National Auto Auction Association held a mock auction on Capitol Hill to interactively educate policymakers about the wholesale auction business and the role it plays in both the auto industry and the U.S. economy. Staffers and legislative aides of the Senate Automotive Caucus joined NAAA in the Russell Senate Office Building on June 16, where NAAA first presented a 30-minute video depicting the entire auction process, such as vehicles arriving via transport truck, inspection, check-in, repair, painting and reconditioning and sales day bidding. "We call it 'Wholesale Auto Auctions 101' because we want to give our lawmakers a solid understanding of how auctions operate and how integral they are to the industry," NAAA operations manager and legislative director Tricia Heon said in a news release. "Promoting and protecting the interests of our members and the industry requires proactively educating as well as advocating." Senate Automotive Caucus chairman Sen. Rob Portman of Ohio arranged the meeting with NAAA. The caucus provides a bipartisan forum for senators to exchange ideas and influence policy concerning issues that impact the auto industry, according to NAAA. In attendance were staff from the offices of Sen. Sherrod Brown of Ohio, Sen. Joe Donnelly of Indiana, Sen. Al Franken of Minnesota, Sen. Patty Murray of Washington, Sen. James Risch of Idaho, and Sen. Luther Strange of Alabama. U.S. Rep. Pat Tiberi of Ohio and chairman of the congressional Joint Economic Committee also sent representatives. Following the mock auction, NAAA hosted a reception where staff had an opportunity to meet with NAAA members such as Independent Auction Group co-chair Charlotte Pyle and members from ADESA and Cox Automotive. ADESA’s Paul Lips, Heather Greenawald, Elizabeth Murphy and NAAA President-elect Warren Clauss participated. And Cox Automotive members in attendance included Craig Amelung and Karyn Wrye. "I was impressed with the genuine interest and enthusiasm shown by those who attended as well as by the support of the auto caucus," said Pyle, who served as ringman for the mock auction’s auctioneer John Nicholls. "It's rewarding to educate our lawmakers in Washington about our business." Nicholls is the 2015 NAAA Auctioneer of the Year and president of the Nicholls Auction Marketing Group. NAAA chief executive officer Frank Hackett, along with Heon and Sante Esposito, president of lobbying firm Key Advocates accompanied the NAAA member delegation for the Capitol Hill visit. "We received a lot of positive feedback about our program and about returning to do another in the future," Hackett said. In celebration of its new headquarters in Long Island’s Village of North Hills, Dealertrack was set to hold a ribbon-cutting ceremony on Wednesday afternoon for the project’s team members and contributors with state and local officials. The 10-acre LEED-specified headquarters with a 230,000-square-foot facility is set to be home to roughly 600 team members early next month. With a 17-year lease, Dealertrack is committed to remaining in Long Island, according to the company. “As mayor, I welcome Dealertrack to the Village of North Hills. I am pleased to participate in the ceremonial ribbon cutting for the state-of-the-art building that will serve as the headquarters for this fine company,” Village of North Hills Mayor Marvin Natiss said in the release. The new facility features indoor basketball and volleyball courts, a cafe, cardio room and yoga studio, indoor and outdoor dining areas, game rooms and a walking trail. TRITEC Real Estate Company, which served as construction manager for the project, partnered with Castagna Realty as the new headquarters' real estate developers. “TRITEC Development, LLC, in partnership with Castagna Realty, is proud to have conceived and created this landmark headquarters facility, providing a cutting-edge, amenity-rich environment that will allow Dealertrack to continue to build one of Long Island's most talented teams in the tech industry,” TRITEC Principal Jim Coughlan said. Spector Group oversaw the building envelope and Combined Resources designed the interior spaces, according to Dealertrack. The new headquarters is located at 3400 New Hyde Park Road in New Hyde Park, N.Y.
“We are proud to offer our team members a state-of-the-art facility where they can continue to develop solutions that are changing the way the world buys and sells vehicles, and also contributes to local economic prosperity,” Tilsley added.